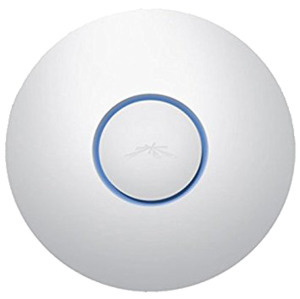 The UniFi Ecosystem enables the system integrator to effectively and efficiently create wireless network designs of any size, from small to large, with the potential for unlimited scalability. The built-in, dedicated security and monitoring radios of the UniFi AC SHD (Secure High Density) AP provides visibility into site performance, channel planning, and local interferers, allowing the integrator to properly evaluate performance and quickly respond to changing interference and security threat landscapes. Easily accessible through any standard web browser and the UniFi mobile app (iOS or Android), the UniFi Controller software is a powerful software engine ideal for high-density client deployments requiring low latency and high uptime performance.